When 26 year old Rahul Jinwal from Mumbai was sleeping near the main doorway of his house in October 2013, a berserk individual sneaked up on him and poured acid into his nose and eyes. This bizarre incident left him with vision loss in both his eyes. For Rahul who used to work as a bodyguard and bouncer, life changed overnight. With his dreams shattered, it was only the loving support of his parents and sisters kept his devastating thoughts at bay. The positive turning point in his life was when he met Dr Virender Sangwan from LVPEI, Hyderabad. He assured him that all was not lost and convinced him to undergo Boston Keratoprosthesis surgery to restore some vision in his one eye. Rahul also recalls with fondness the convivial relationship he had with his “God-like” surgeon Dr Bhupesh Bagga, whose surgical hands gave him back that promised vision. Assisted with his mother, Rahul is now able to walk short distances, use his mobile and also socialize with his neighbours. 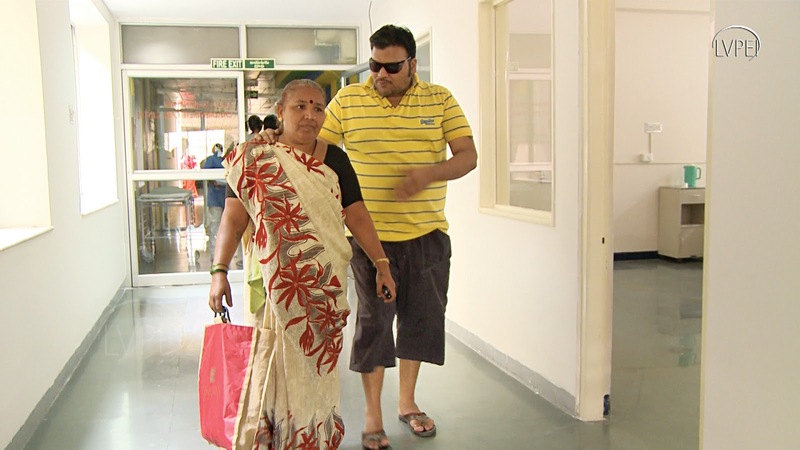 Through an informal patient support group, as a role model patient he is also providing support to other victims of acid attack.